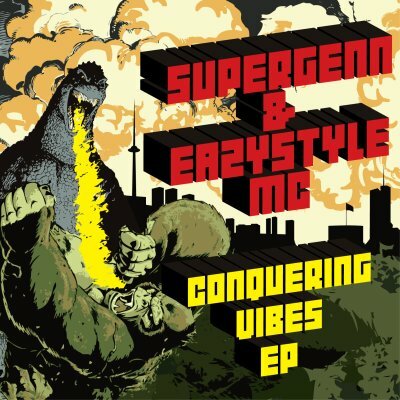 Continuing the Lowvibe voyage through the reggae fusion solar system, SuperGenn & Eazystyle MC are proud to present this respectful tribute to classic roots riddims, broken down and updated for 21st-century skanking. SuperGenn’s productions combine classic melodies with laid-back shuffles and beats, adding 8-bit tweaks and analog riffs over a deep and satisfying sub bassline. Eazystyle rides the versions, his warm and meditative voice creating an authentic rootsman flavour, the result of years of hard work in the clubs and studios of rasta-loving Lithuania. You’ll be hearing this drifting out of car windows through the streets of Vilnius and London, with the last track “Conversation” waiting to become your jungle soundtrack of the summer. Shine!